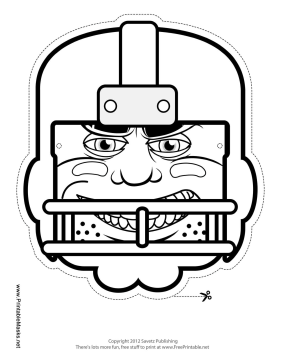 Next time you're watching your favorite team on TV, why not add a little fun during commercials by coloring in this printable football player mask? His big eyes and helmet will bring joy to any football fan! This mask is free to download and print.